If you'd like to make a donation to The New Gaea Foundation, you may do so through our Sharing Support page. It's easy. Just select the appropriate dollar and quantity amounts to add up to whatever you wish your donation amount to be, add it to the cart, and check out. Please DO NOT make a donation for services and/or instruction through the Healing Arts Center without contacting us first to discuss availability and the requested donation amount, along with any discounts that may be applied. If you wish to make a payment or donation for your Healing Arts Center services and/or instruction, please refer to these instructions. We realize this is an unusual way for your to make a payment or a donation. We have set up our storefront this way for several reasons. 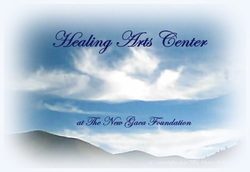 Primarily, we are considering the privacy of our Healing Arts Center clients and students. Our storefront only shows dollar amounts, so your receipt will not show what service we have provided for you or what instruction you have received. The receipt will also only show that you have made a donation to The New Gaea Foundation. As we aren't your usual "add to cart" type of organization, we'd really Love it if you'd include an email with your donation. You can tell us as little or as much about why you are making your donation as you'd like to. Whatever your reason for donating to the Foundation is, please know that we greatly appreciate it! Please do be advised that at this time donations made to us are not tax deductible. We will not accept any donation that is involved in any form of illegal activity. We consider all donations to be non-restricted, and they will be used wherever they are needed most by the Foundation. There is one last thing you should know before you make your donation. We DO NOT issue refunds, so consider your actions well before proceeding with them. Thank you for sharing Support with us. Thank you for sharing Life with us. If you have any questions, please do not hesitate to contact us with them. ​© Copyright 2012-2018 The New Gaea Foundation™. All Rights Reserved.